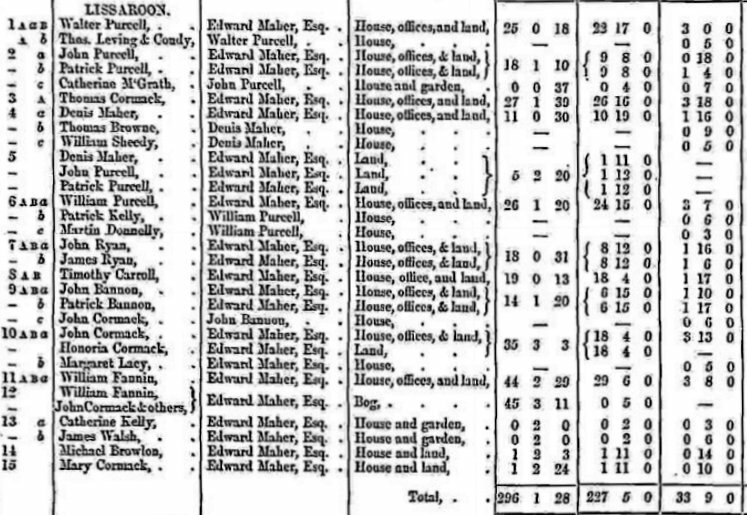 Rootsireland has baptism records from 1809 -1900. 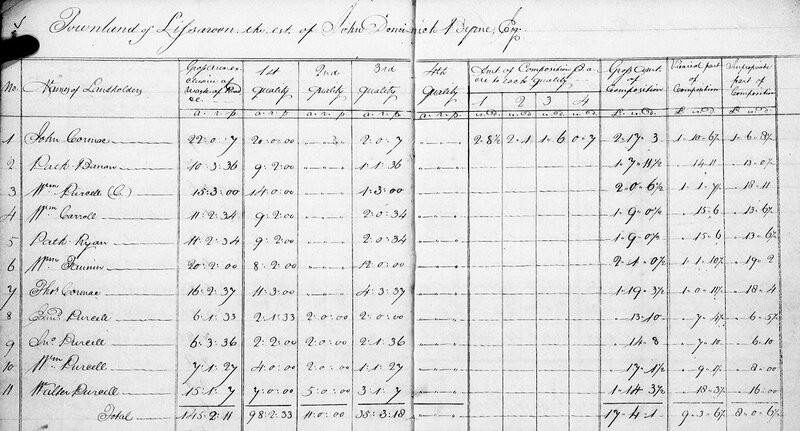 I have included the Fanning Baptism records from Rootsireland from 1809 to 1827. 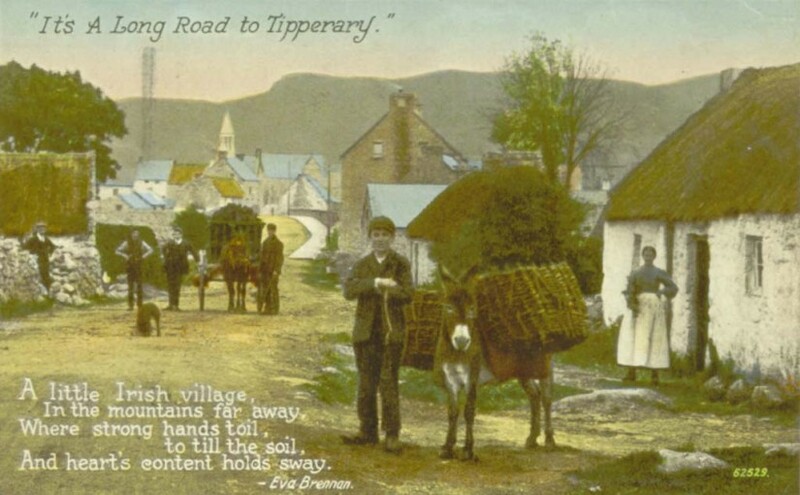 Civil birth records at irishgenealogy.ie start from 1864 and end with births over a 100 years ago. Records with an asterisk are of Fannings that I am related to. The priest has written in the margin the address of the couple, which is a big plus in searching for ancestors in these records. The handwriting is easy to read although they have their own shorthand for christian names and place names. Annfield is written as Annfd, the d being smaller and raised. 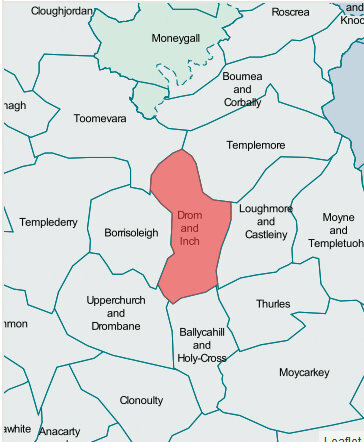 Ballypatrick is shortened to Bally and a small raised k. Edmund or Edmond is shortened to Ed and a small raised m.
The spelling is also phonetic, so varies greatly. But you can read it all quite easily and there were not a lot of baptisms for this period. Sometimes House is given as the address. I am assuming the mother and or child was too ill to be baptised at the church as was customary? A few times the word “Chapel” is in the margin?? 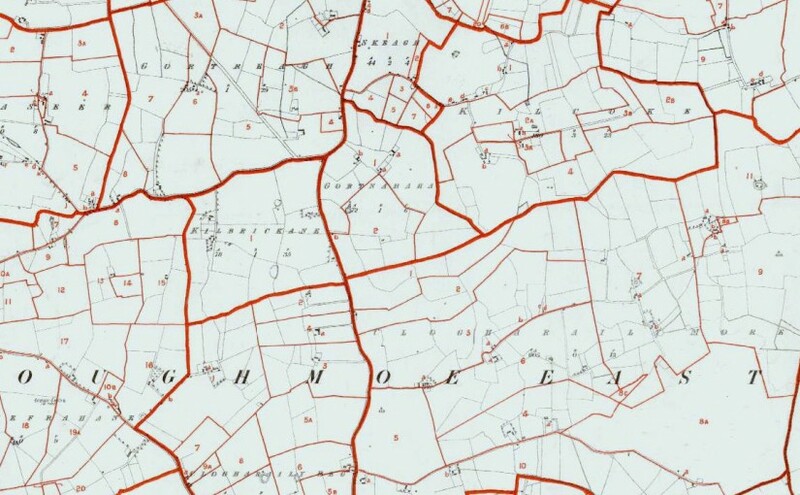 These place names are from 1827, in the Parish of Drom & Inch. 12 Jun 1840, Joseph of John Fanning & Margaret Russell, Kill, sp; Ellen Gleeson. 19 Oct 1845, Killahagan, Michael of Jeremiah Peters & Biddy Ryan, sp: Joseph Fanning & Margaret Cahir? 20 Dec 1846, Drom, William of William Hogan & Bridget Fanning? sp: Lawrence Dwyer & Mary Cor? *2 Apr 1869, Lissaroon, Sara of Michael Fanning & Catherine Ryan, sp: Honora Fanning & Hugh Fanning. On the civil record Mary Fenally is a sponsor. 13 Sept 1877, Kill, ??? of Thomas Fanning & Ellen Ryan, sp: William Fanning & Eamy Flinn * priest’s note: married Catherine Loughmoon 21 Dec 1908 LIverpool. 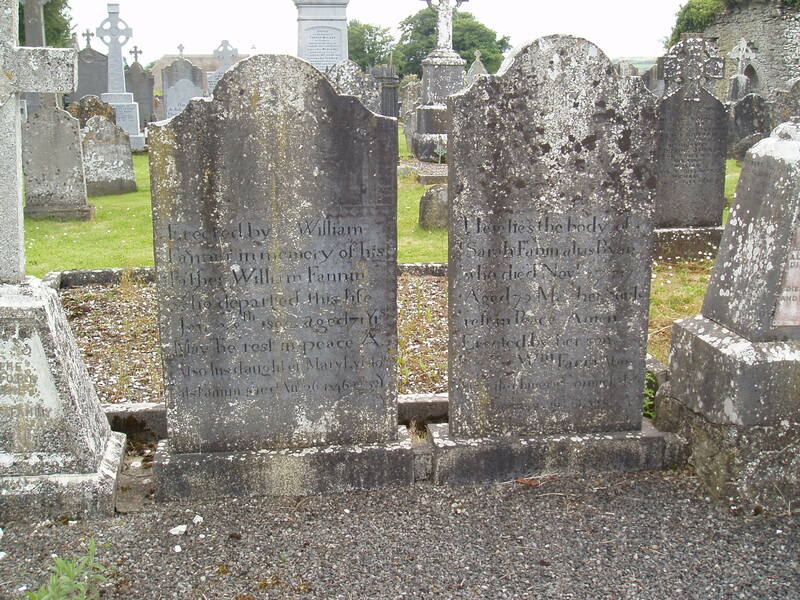 17 Oct 1880, Kill, Margaret of William Fanning & Annie Flinn, sp: Patrick Fogarty & Johanna Ryan. Another highlight of my stay in Co Tipperary was meeting Fanning relatives and visiting Lissaroon. We were taken there by my fourth cousin Delia, her husband Timmy and son Willie. We were also shown around Ballycahill Cemetery and Church, Loughmore Cemetery and various other related Fanning sites around Thurles as well as calling in on the Lisdonowley Fanning family. There are photos of Lissaroon and more information and stories in the post “Lisaroon the Home of William and Sarah Fannin“ These are some photos of the back of Lissaroon which I don’t think I have already posted. 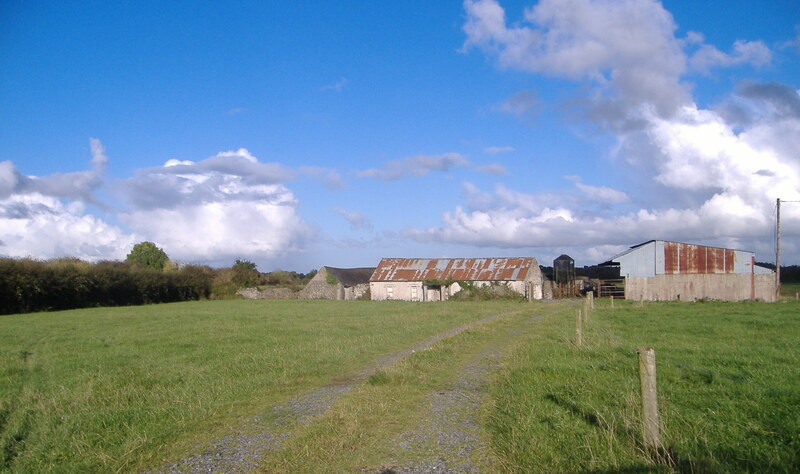 Lissaroon is a townland just north of Thurles in Co Tipperary North. This property is the earliest Fanning site I have been able to find. 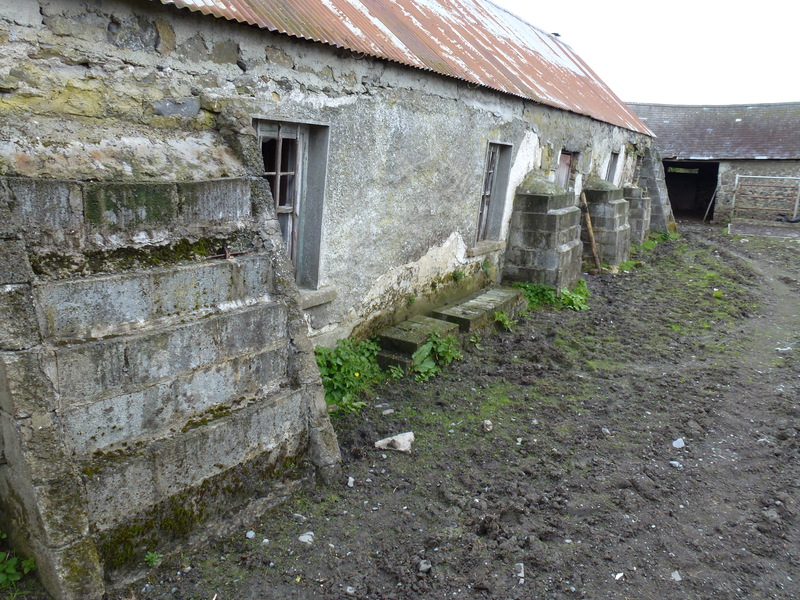 It was I have been told settled by Fannins in 1741. I don’t as yet know where they moved from. I was told they came from France which may mean Normandy and that they were an Anglo-Norman family. 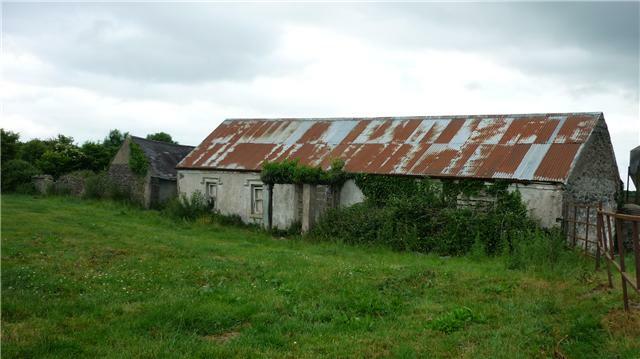 There are records of William Fannin living there and he is buried in Ballycahill Cemetery. His birth date about 1731. His wife Sarah Ryan is also buried there as are many other member of their family. But William and Sarah are the earliest Fanning ancestors. 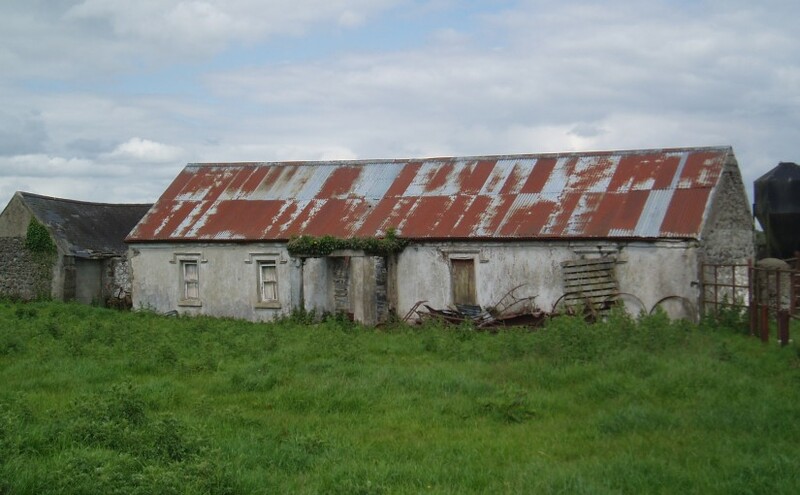 Lissaroon was their home and property. They rented from the Trant Family of Dovea. 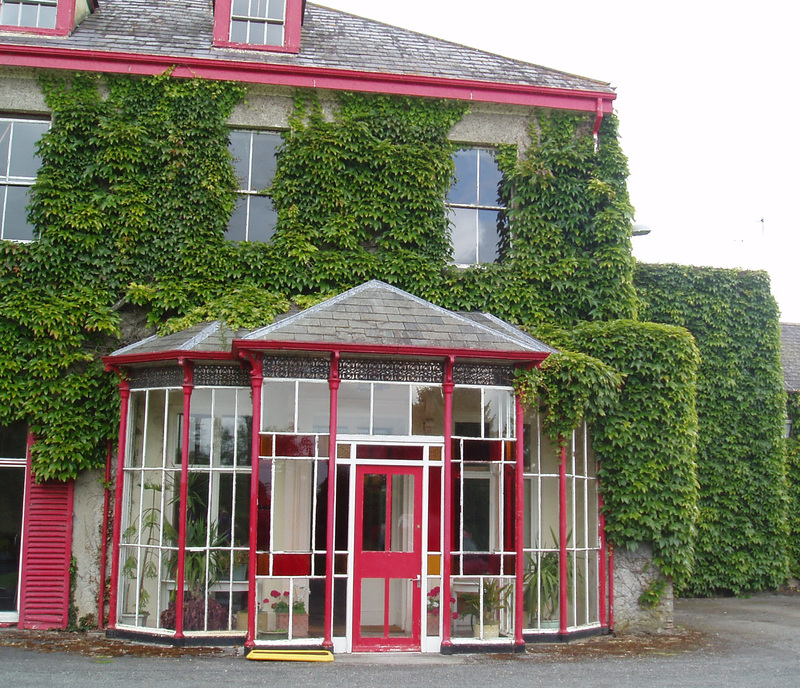 Eventually with changes in the Land Acts the Fanning family came to own Lissaroon as freehold land. They were well off and prospered in the region. My cousins told me that all the other Fannings in the area can trace their roots to William and Sarah Fannin. 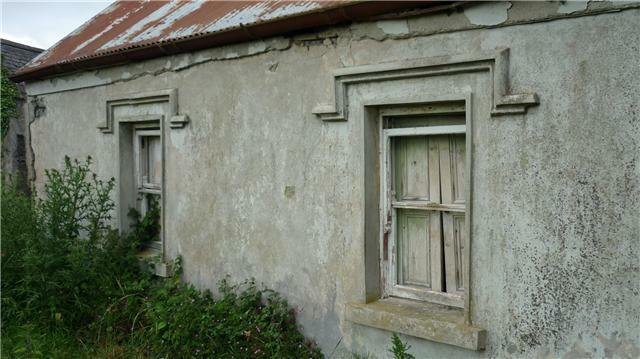 What struck me was the refinement in design of the fittings in the house dilapidated as it is. 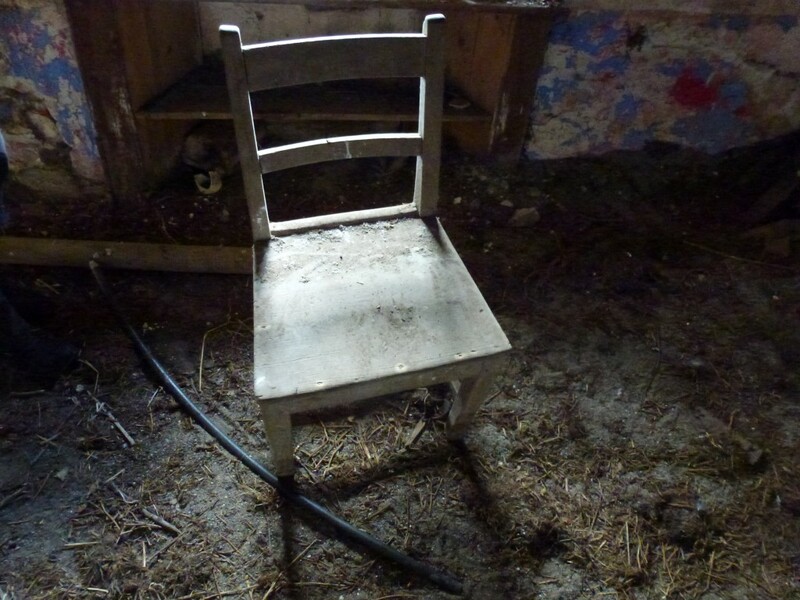 I was surprised as I expected a practical farmer’s house. 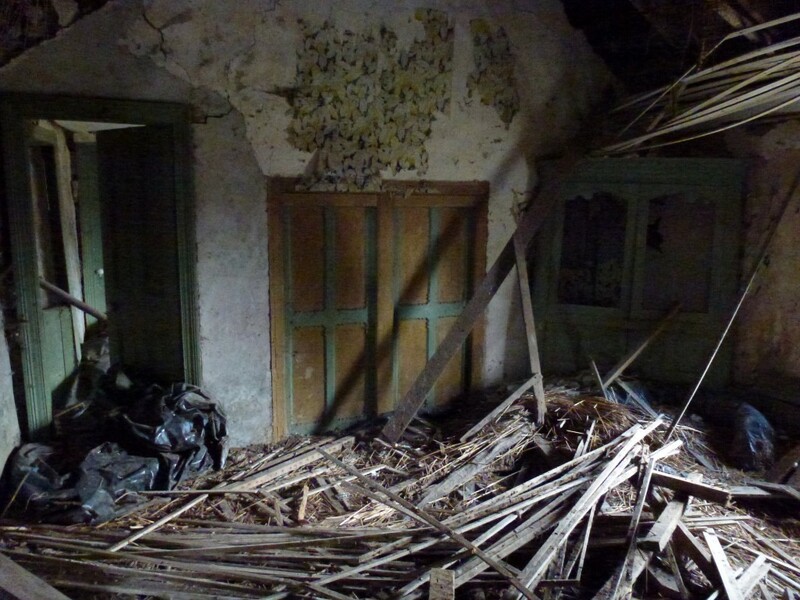 The inside of the house is falling down which is a shame. 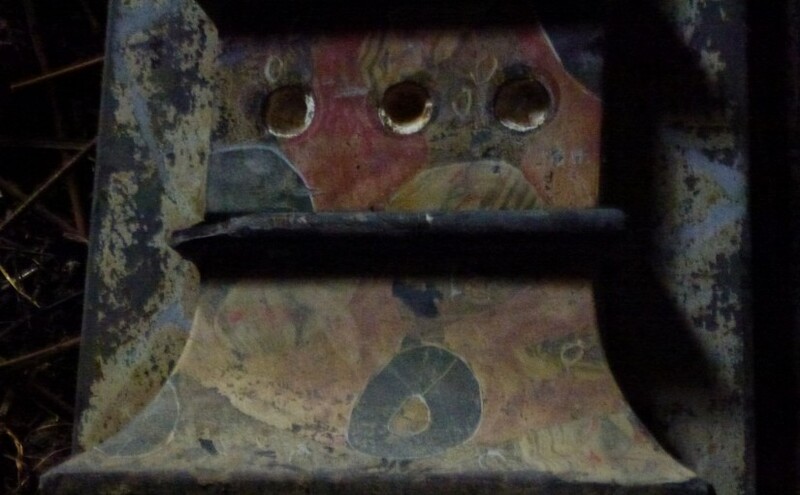 But there is an elegant corner cupboard and original wooden table and chairs as well as the remains of a beautiful coloured marble fireplace. 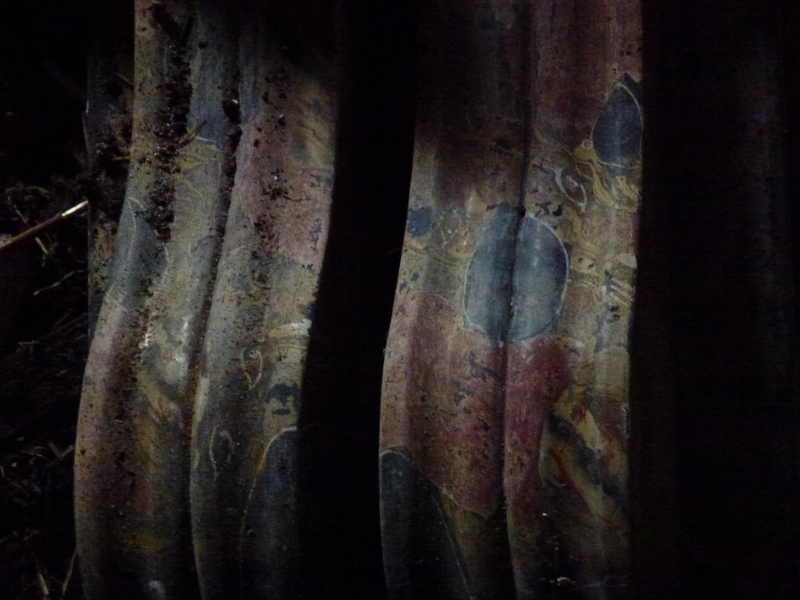 On the walls there are remanants of flowerey wallpaper. 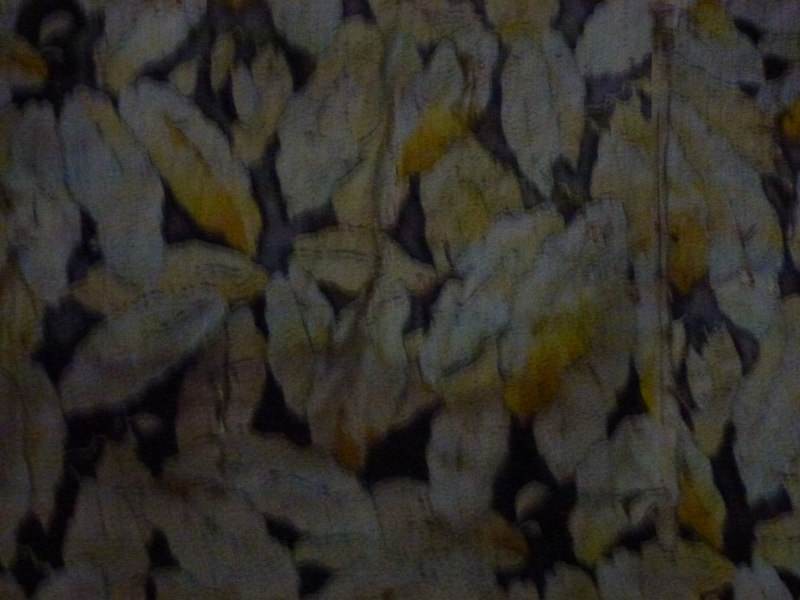 Some of the other walls were brightly painted. A lot of evidence of a feminine influence. The house itself apparently had a portico with coloured glass like that at Dovea House. I have seen quite a few photos of Lissaroon but actually being there was very different. It is quite close to the road and used for grazing cattle. No one has lived there since 1926. Unfortunately it is deteriorating. It was fascinating hearing about the place from Willie who used to visit as a child. He said it was origianlly thatched and surrounded by a beautiful garden of fruit trees and flowers. He can remember picking the flowers. The trees had to be cut down as they had become dangerous. 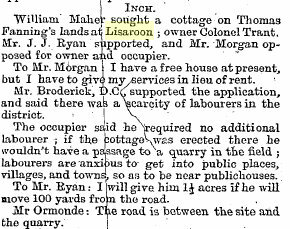 A family called Meehan rented Lissaroon for a number of years. They wanted to get public housing and could only be eligible if their present dwelling was condemned. So they, much to the horror of the Fannings, had Lissaroon condemned. It took a lot of calling in of favours to have it reinstated and not pulled down. These recent photos of Fanning and Fannin graves were taken in June 2011 at Ballycahill Cemetery which is close to Thurles city in North Tipperary. 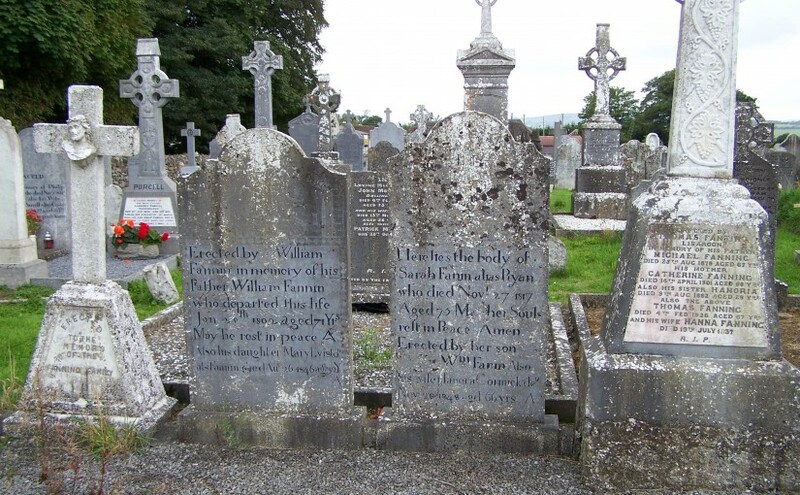 There are more photos and information on Fanning burials in this post “Fanning Family Grave Inscriptions and Photos Co Tipperary“. Tipperary Studies in Thurles Library has just added a list of Ballycahill Cemetery gravestone inscriptions. 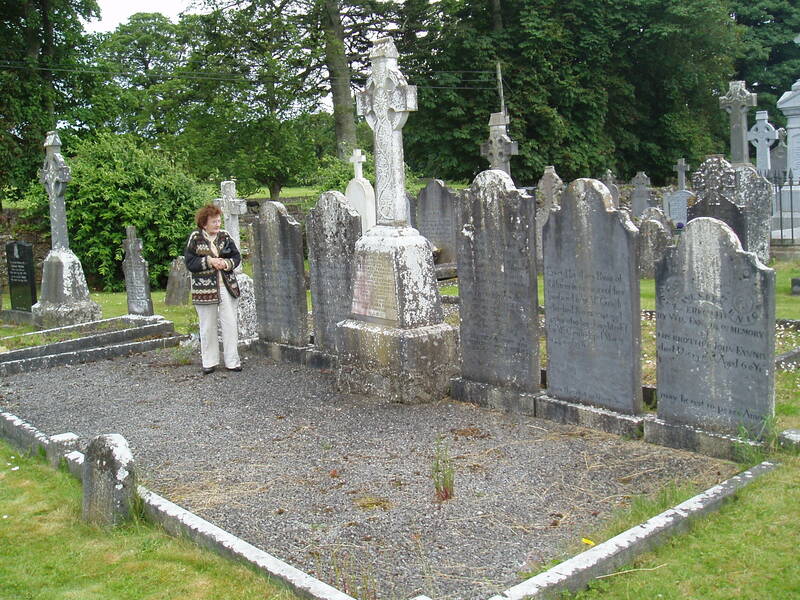 They have a growing number of Tipperary cemetery inscriptions as well as other family history sources on their site. 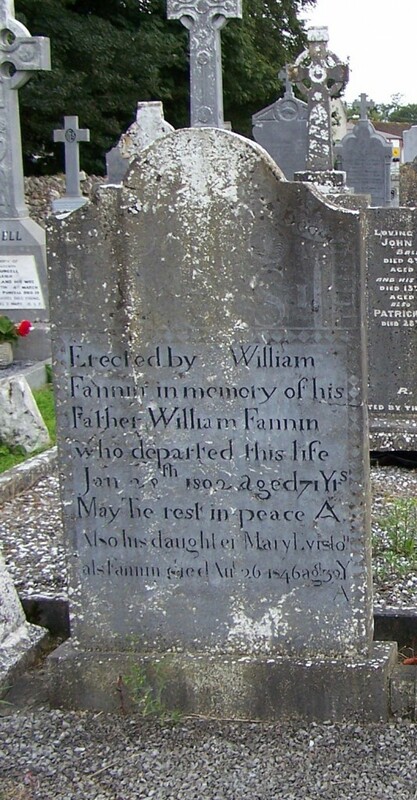 Gravestones of William Fannin died 1802 and his wife Sarah Fannin died 1817 both of Lissaroon. William Fannin and his wife Sarah Ryan are the earliest of my Fanning ancestors I have been able to trace. 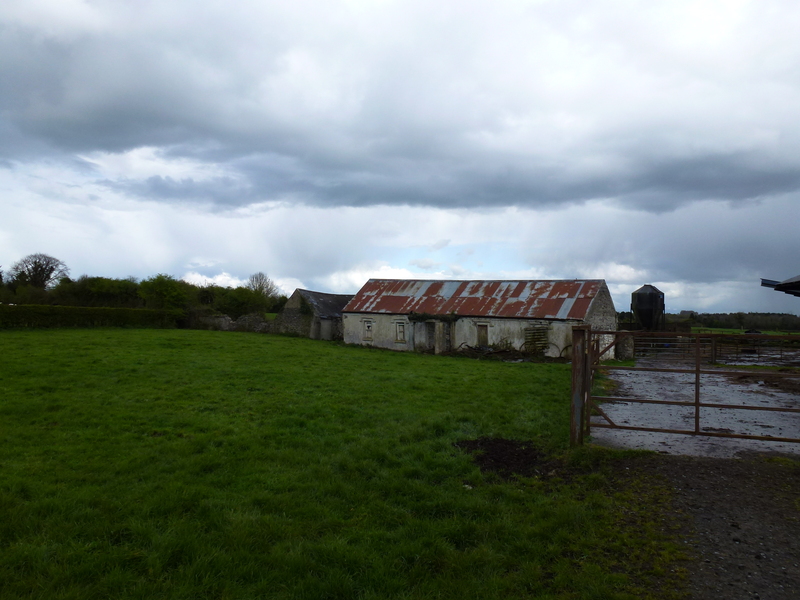 There are photos of Lissaroon in North Tipperary in this post. There is more on Sarah and William Fannin in this post “Descendants of William Fannin and Sarah Ryan”. 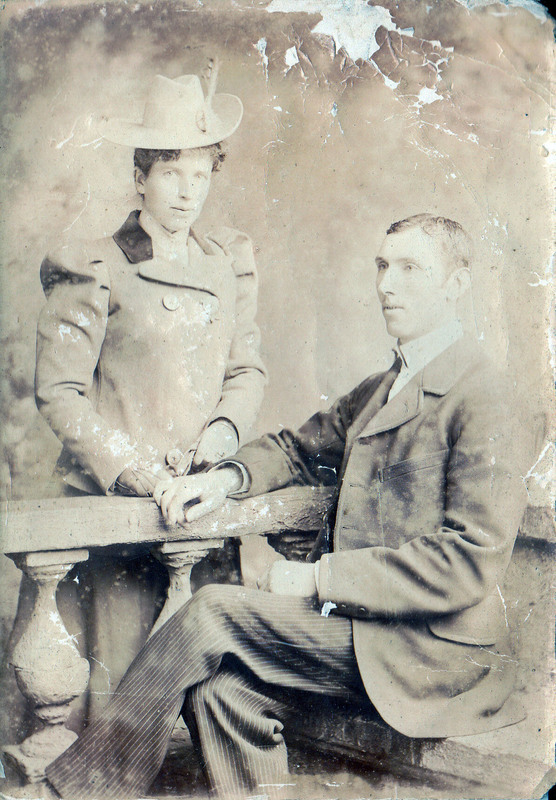 Hanoria (Nora) Fanning was married to Edmund Deavy 18 June 1879 in Thurles Parish. His father was Patrick Deavy and mother was Anne Campion. He was born in Derry Rathdowney Co Laois in 1846. He and Hanoria had three children, two were girls and not sure about the gender of the third. 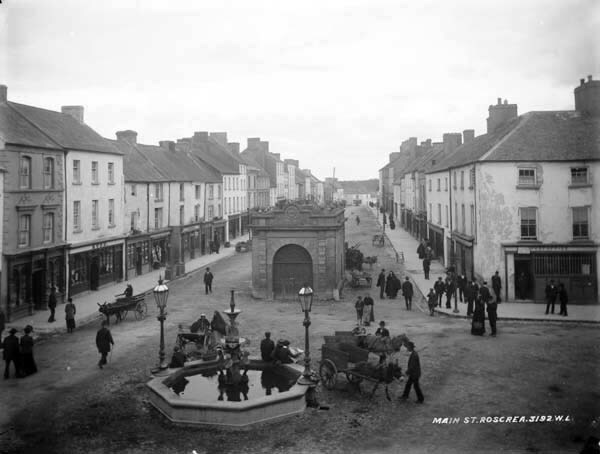 Anna Maria Deavy was baptised 10 May 1880 in Rathdowney. Her godparents were Michael Campion and Bridget Fanning. All of these children are said to have emigrated to America. 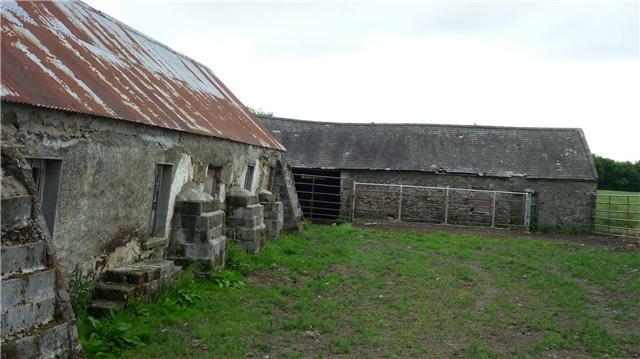 Edmund remarried Mary Ryan in 10 Feb 1887 in Galmoy Parish Co Kilkenny and they had a daughter Johanna born about 1889. Edmund died before 1901. 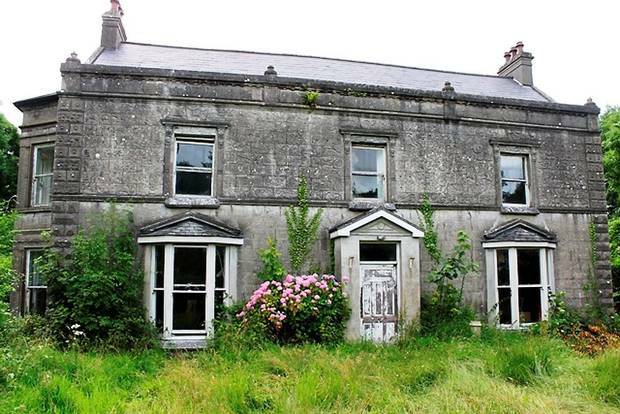 Griffith’s Valuation was the first comprehensive valuation of Irish property and was carried out between 1847 and 1864. The aim being to construct a country-wide tax base. 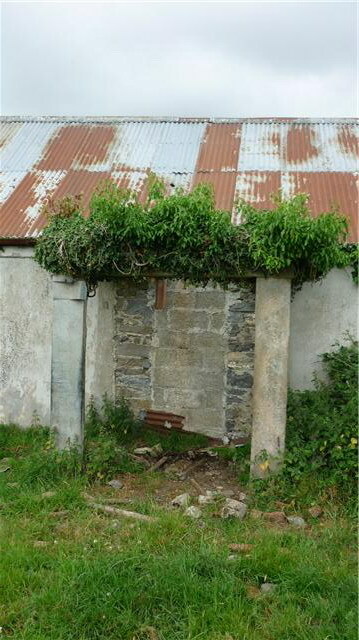 It is especially important for constructing the Irish end of a family tree as there are so few Irish records to look at. 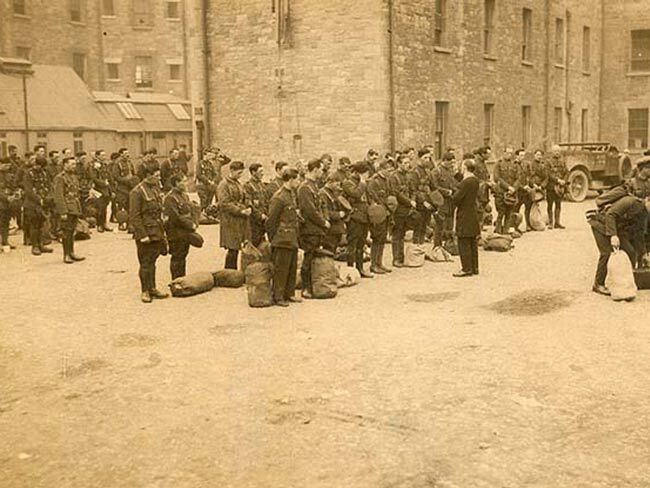 The Census documents from 1821 to 1851 were destroyed in 1922 during the Irish Civil War. Griffith’s Valuation has been termed a “census substitute”. 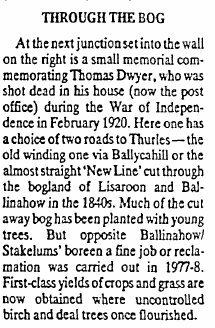 The above record for Lissaroon was published March 16 1850. The William Fannin included was married to Hanera Cormick (1782-1848). He was born c1770 and died in 1860.